OHSAS 18001:1999 Occupational Health and Safety Management Systems-Specifications. OHSAS 18002:2000 Occupational Health and Safety Management Systems-Guidelines for the implementation of OHSAS 18001. 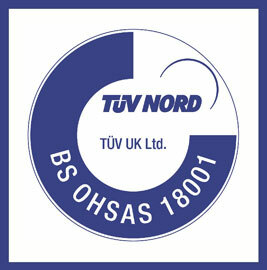 BS 8800:1996 British Standard for Occupational Health and Safety Management Systems. Standard OHSAS 18001 includes the requirements and specifications and the way of evaluation for Managemen Systems of Hygiene and Safety in Work (Occupational Health and Safety Management Systems-OHSMS). This standard was developed to support the enterprises towards complying and satisfaction with an efficient way, of their obligations on issues related to hygiene and work safety. Standard OHSAS 18001 focuses in finding all operational elements that have a direct impact in hygiene and safety, in determining operational objectives for hygiene and safety, and in operating the management system in such a way to achieve these objectives. An important element of the standard is its orientation towards continuous improvement of the System, via the apropriate administration tools, such as the internal audits in determined temporare intervals. Standard OHSAS 18002 was developed as a supplement to OHSAS 18001 and includes explanations of requirements of the OHSAS 18001 standard and governing directives on the concretisation of requirements of OHSAS 18001. Standard BS 8800:1996 is the British standard for the Systems of Management of Hygiene and Safety in the Work and it constituted the base upon which standards OHSAS 18001 and OHSAS 18002 were developed. From these three standards, only OHSAS 18001 can be certified. The structure of OHSAS 18001 is proportional to the structure of ISO 9001 and ISO 14001 standards. During the planning and developing stage of standards ISO 9001, ISO 14001, and OHSAS 18001 an effort was done so as to achieve compatibility between them, in the highest possible degree. At this stage a contact between the company΄s representative and an external qualified business consultant who will plan and support the implementation of the Hygiene and Safety in Work Management System ,takes place. If the enterprise already employs the suitable personnel, which can support and undertake the implementation of OHSAS18001, communication with the consultant and his services is optional. At this stage planning and implementation of the Hygiene and Safety in Work Management System OHSAS 18001 takes place. This includes determination of Policy for Hygiene and Safety in the Work of the enterprise. 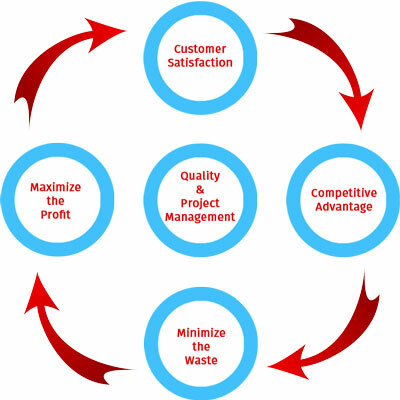 An important parameter as in case of Quality Management Systems, is the Company΄s administration engagement. Planning, includes the development of a frame for localisation of dangerous likely sources in the working environment of the enterprise, estimating of these dangers and undertaking relative control measures. It is essential during the planning process of the system, to comprehend sufficiently all external requirements as legislation demands, with respect to the hygiene and safety. Planning of the system includes assignment of roles and responsibilities and the determination of processes that will materialise the Hygiene and Safety in Work Policy of the enterprise. A very important element of the system is the determination of plans and processes of reaction in emergency situations. There should be specific responsibilities for handling accidents, emergency situations as well as non conformance situations. The system should include all essential documents for its operation and be documented systematically as it is also required in Quality Management Systems. Also it should incorporate evaluation mechanisms of its performance, revision mechanisms and corrective action mechanisms, aiming at its continuous improvement. At this stage the Hygiene and Safety in Work Management System is been incorporated in the company΄s operation and applied according to the preceded planning. Certification of Hygiene and Safety in Work Management Systems according to standard OHSAS 18001 is carried out by certification bodies that is to say independent external Accredited institutions with realised ability for certification of such systems. At this stage the process of certification and inspection is organised and discussed while the relative application is submitted in the Certification body. At this stage, documentation of the system is been reviewed by the qualified inspectors of the Certification body, followed by on site audit and evaluation of the working environment from the inspectors, so that compatibility and conformity of the applied System is proved according to the standard OHSAS 18001 requirements. Since according to the inspection results that the applied System is sufficient and compatible with the standard, the certificate of compliance is granted to the organism or enterprise, It is likely during the inspection, lacks or weaknesses of the system to arise. In this case, the certificate is granted, after the appropriate corrections will be made. In certain cases it is possible for the inspection to be repeated in order to reassure that all corrections were made and recorded. Upon issue of the certificate the Certification body registers the enterprise in the lists of OHSAS 18001 system. The registration in the lists of OHSAS 18001 does not have concrete time period of appliance. In order for a company to remain registered, evidence of conformity with the requirements of the standard should be verified per regular time intervals. This is made by annual e.g. inspections of the enterprise from the Certification body.